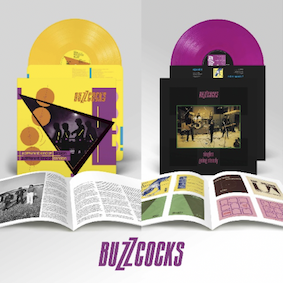 As part of their continuing reissue campaign, Domino are very proud to announce details of the release of the latest pair of Buzzcocks albums, A Different Kind Of Tension and Singles Going Steady, which are out on Friday 14th June 2019. They follow the 40th anniversary re-issues of Another Music In A Different Kitchen and Love Bites in January of this year and the re-release of the band’s debut EP, Spiral Scratch and Time’s Up, a 1976 collection of demos, in March 2018. 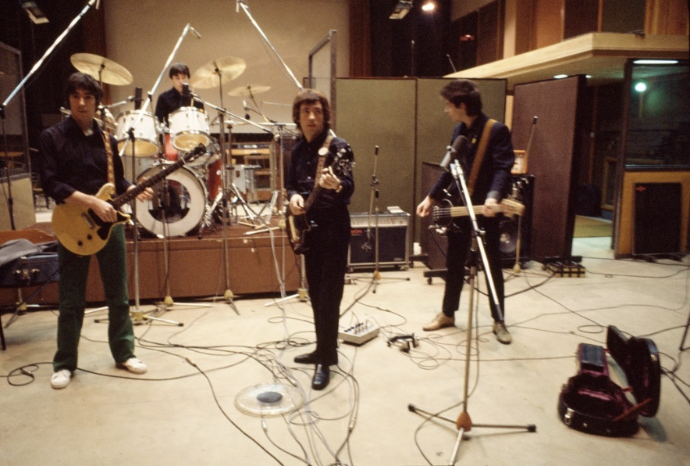 Their third studio album, A Different Kind Of Tension was recorded at Eden Studio in West London in the summer of 1979 with producer Martin Rushent, who had worked on their previous two albums. Singles Going Steady was initially released in the U.S. on 25th September 1979 on I.R.S. Records. Originally a U.S. only release put together as an introduction to the band for the American public, side one featured their eight United Artists U.K. singles releases to date in chronological order, while side two featured the corresponding B-sides. The compilation perfectly captured the band’s effortless ability to write three-minute-mini-masterpieces that would endure long after the initial spark of punk had faded. Healthy import sales following its U.S. release eventually led to United Artists issuing the album in the U.K. in November 1981 and it has subsequently transcended its status as a mere compilation going on to become regarded as a seminal and era–defining release. After recording demos for a fourth album the band finally disbanded in 1981 with Shelley going on to a successful solo career while Diggle and Maher formed Flag of Convenience and Garvey formed Motivation and would later join The Blue Orchids. Re-forming to play a series of shows in 1989, the band eventually released their fourth album, Trade Test Transmissions, in 1993 and subsequently continued to tour and record albums featuring original members Pete Shelley and Steve Diggle until Shelley’s untimely death in December 2018. A Different Kind of Tension will be available on Deluxe LP (REWIGLP128X), pressed on yellow heavyweight 180g vinyl, Standard LP (REWIGLP128) and CD (REWIG128). Singles Going Steady will be available on Deluxe LP (REWIGLP129X), pressed on purple heavyweight 180g vinyl, Standard LP (REWIG129) and CD (REWIG129). All versions come with a lavish booklet including essays by cultural commentators Jon Savage and Clinton Heylin and unseen Buzzcocks photos.